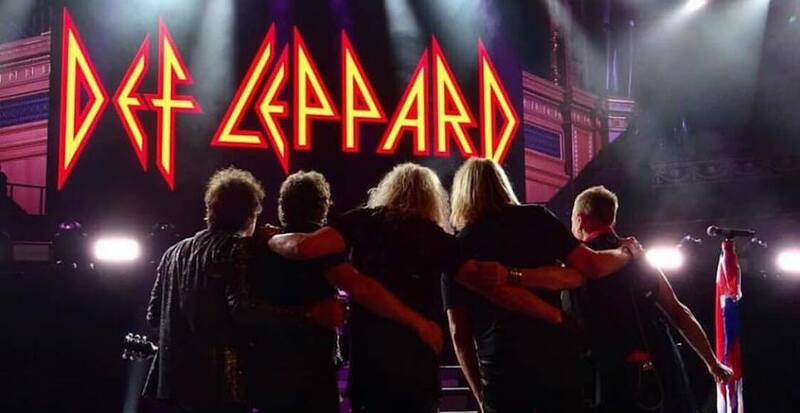 Def Leppard is coming to town during their Canada tour, and will be performing in Ottawa, Hamilton, and London this upcoming July. The Canadian tour was announced in the first few days of 2019 and is expected to visit 11 shows alongside Sacramento melodica hard rock band TESLA. The English rock band, best known for their global success in the 80s following the release of their albums High ‘n’ Dry and Hysteria, also made headlines when their drummer Rick Allen lost an arm in a car crash, yet managed to continue drumming for the band by using his feet to play part of the kit. The tour is something of a victory lap for the band, as it was recently announced that they will be inducted into the Rock & Roll Hall of Fame at a March 29 ceremony in Brooklyn, NY. The Ontario shows are at the start of the tour, which will begin on July 12 at the Scotiabank Centre in Halifax, NS and make its way west, stopping in, Ottawa’s Canadian Tire Centre on July 19, Hamilton’s FirstOntario Centre on July 20, and London’s Budweiser Gardens on July 22. Tickets for the concerts go on sale starting Friday, January 18 at 10 am.